The 2018 Student Publication Association National Conference is just DAYS away, and we are, if you couldn’t tell, extremely excited. We’ve got a few bits of important information to pass on to you. To anyone who isn’t attending this year, we hope to see you there in the future. We’ll be holding our ever-popular student publication ‘swap shop’ on the Saturday of #SPANC18. It’s a chance for everyone to admire each others’ efforts throughout the year, so please bring along copies of your paper or magazine to hand out. We’re also running workshops at #SPANC18 this year – including mobile journalism, and CV advice. If you’re planning on taking part in these, make sure you’ve got a smartphone, charger (if you’ll need it) and an up-to-date copy of your CV. Check-in for #SPANC18 is at Cardiff University Students’ Union (Cardiff SU), on Friday, 6th April. The conference will close at around 4pm on Sunday, April 8th. If you’re arriving on Friday with either conference only tickets (and you’ve sorted your own accommodation for the weekend) or two-night accommodation tickets, please check in from 3pm at Cardiff SU. We’ll be hosting a first-night social at the SU bar so you can all get a chance to meet before things kick off properly on the Saturday. 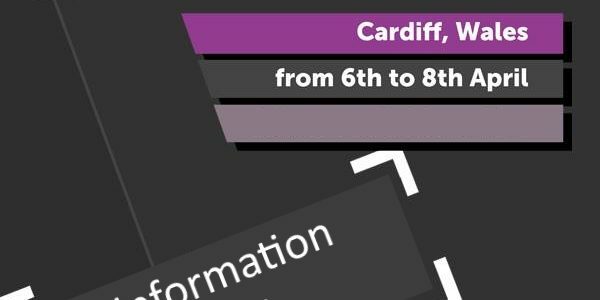 If you’re arriving on Saturday with either conference only tickets or one-night accommodation tickets, please check in from 9am at Cardiff SU. All #SPANC18 events, including check-in, both days of the conference, the Friday night social (at the Cardiff SU bar) and the Saturday evening awards ceremony (7pm arrival) and afterparty, are being held at Cardiff SU. That all-important address is: Cardiff University Students’ Union, Park Place, Cardiff, CF10 3QN. There won’t be much parking at the SU so if you’re driving, we’d advise leaving your car at the hotel and either walking, using public transport or sharing an Uber/cab to and from the SU with other conference attendees. What else will be going on at the conference? And aside from the wealth of talks, workshops, and roundtables we’ve got planned for you all, one other very important event takes place at #SPANC18 every year – the SPA’s Annual General Meeting (AGM). This will be held on the Saturday, and it’s when all our members have the chance to elect five executive officers to run the SPA throughout the next year. You can read about the current exec team on our website. If you think you might be interested in running for a position, please feel free to chat to any of the current officers. There’s absolutely no requirement to have been involved with the SPA in any capacity beforehand in order to run, and you only need to put yourself forward at the AGM itself. Being involved with the SPA, and helping other student journalists and publications connect, grow and succeed, is hugely rewarding. If you have any questions, don’t hesitate to get in touch via any of the contact emails below or drop us a message via the SPA’s Twitter or Facebook page. We can’t wait to meet you all, have a blast, and hand out those trophies.